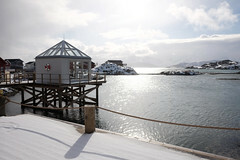 Ramboll organized this week a roundtable in Tromsø with the following theme: Arctic Sustainable Cities and Society. 25 specially invited guests and seven managers and experts from Ramboll attended a new concept: Ramboll Round Table. Key stakeholders from the commodity industries, reindeer herding, research, politics, technology, transportation and logistics attended. There were participants from Norway, Sweden, Finland, Denmark, Germany and the UK. 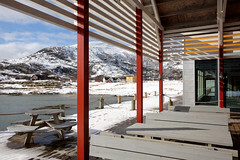 We achieved consensus among key parties in the development of the High North: it is important to share the benefits of industrial and economic development, it is important to align our cities so that people from outside can find it attractive to settle down (and remain) and it is important to build infrastructure so that we become closer to each other and thus stronger together. The discussion took its starting point in Ramboll’s new analysis of the opportunities and risks associated with the present shift in social development in the Arctic following increased interest from multinational companies in the energy, oil & gas, mining and other commodity industries. The round table explored how future development can be achieved in a sustainable manner. The Ramboll study documents that long term sustainable societal developments will be achieved if policies balance between five fundamental driving forces – urban developments, society, economy, climate/environment and governance. The cities in the North have different strengths, and the larger cities in particular have been successful in attracting a broader variety of industries, competences and cultures. This gives a strong basis for further growth and development compared to the small and monoindustrial cities. The focus in this survey was on six cities’ performance within parameters such as growth, sustainability, social resilience and competence level. The six cities are spread across four countries: Nuuk, Tromsø, Narvik, Luleå, Gällivare and Oulu. We have in our analysis included extensive desk research, surveys and focus group meetings with respondenst in Gällivare og Tromsø. The Round Table was a pier group assessment of our study. The conclusions of the meeting will be a part of our work. 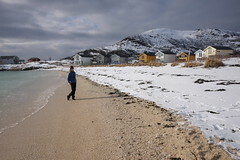 The survey will be presented under the Arctic Frontiers conference in Tromsø in January 2014. The main theme of this conference are Humans in the Arctic. I will participate for the fifth year in a row on this important Arctic conference. It will be my first participation in the role of Ramboll Group’s Arctic Director.